With Vizit 5.1, social conversations can now be leveraged in workflow using the new RequestFeedbackTask and ProvideFeedbackTask Content Types. By following the steps outlined in this article, you can capture important interactions during the review process that are typically lost in business processes. While this article highlights how Vizit social conversations can be used in Nintex, specifically, the same technique can be applied to any workflow tool that is built upon the standard SharePoint workflow stack. A new draft of a print ad for a major publication is added to the Marketing Materials document library. This kicks off a "Gather Feedback" workflow. As part of that workflow, the manager of the marketing department is assigned a RequestFeedbackTask. Her job is to review the ad and ping her team with questions about it. Using Vizit social conversations, she can highlight various areas and ask specific questions. After she's done, her team members are then assigned a ProvideFeedbackTask. Their jobs are to simply answer the questions asked by the manager. At the end of the process, a link to the conversation can be emailed back to the manager of the marketing department and the work to refine the ad can begin. 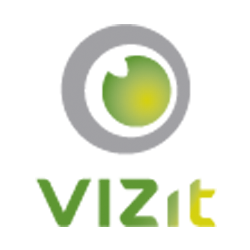 Vizit's workflow integration starts with two new Content Types we've added: RequestFeedbackTask and ProvideFeedbackTask. In standard SharePoint, there exists a hidden Content Type called WorkflowTask. This is at the heart workflow. You might have noticed that many of the Nintex Workflow Content Types extend this. By extending the WorkflowTask Content Type and providing unique behavior when Vizit is accessed via these types, we're able to provide a way to record conversations that would usually be lost during a workflow. In addition to the typical fields seen on a workflow task, we've added three: Workspace Token, Workspace Link, and Assignees. that connects the task to the conversation. When this task is accessed for the first time, a new conversation is created and this property is set. There is only one conversation for a given workflow. Workspace Link: This is a direct URL to the conversation that can be used further along in a workflow to get back to the conversation to see what was said. Of course, you must have rights to see the workflow to view this conversation directly. Assignees: In addition to highlighting areas within the document and asking questions about them, the Assignees field allows the person in charge of requesting feedback to decide who needs to answer the questions. All these fields play a particular role in completing this task, and their integration with Vizit social conversations allows us to provide an easy-to-use wrapper around the whole process. Just like the RequestFeedbackTask, the ProvideFeedbackTask extends the core WorkflowTask by adding these fields: Workspace Token, Possible Outcomes, and Task Outcome. Workspace Token: This links a task to its corresponding conversation. During the workflow, the Workspace Token's value is set by RequestFeedbackTask. Possible Outcomes: The default Outcome is "Done", which indicates that the person has answered the questions asked. It is possible to provide a set of possible outcomes that can be selected by the user. For example, "Approved", "Rejected", or "Not My Fault" could be used instead of just a simple "Done" button. When configuring your workflow, simply provide a semi-colon separated list of values when setting the "Possible Outcomes" property of the ProvideFeedbackTask. Task Outcome: When the task is completed, the value associated with the button that was pressed will be recorded in this field. With the relevant information immediately available and easily referenced, information gatherers can ask the right people specific questions and get the answers in context. These steps outline building a simple workflow using Nintex. Note that while Nintex requires Internet Explorer when authoring your workflow, Vizit supports IE9+, Safari, Chrome, and Firefox. Add the Actions: Since this example will show a simple workflow, we only need to add three actions. Use the Search box to find and add the "Request data", "Assign to-do task", and "Send notification" actions in sequence. WorkspaceToken: Multiple lines of text. Set the variables with requested data: Configure the "Request data" action to use the existing Content Type "RequestFeedbackTask". Use the "Content type field" drop down menus to connect the data returned from the action to the variables created in step 3. The "Request data" action can be more thoroughly configured, but for the purpose of this example, set the required "Collect data from" field to yourself and click Save. Use the variables to set fields in the to-do: The Assignees field of the "Assign to-do task" action can be set with the Assignees variable. To do this, click the Browse button to the right of the Assignees text field. Find the Assignees variable you created in the "Workflow Variables" section of the Lookup group and click Add, then OK. Next, choose the existing content type, ProvideFeedbackTask, and set the value of the "Workspace Token" field to that of the WorkspaceToken variable created earlier. To do this, use the "Insert Reference" button to the right of the "Workspace Token" text field. Use the "Workflow Variables" tab to locate the WorkspaceToken variable; select it and click OK. The WorkspaceLink variable will be used in the final action. Send out an email when done: When the information gatherer has finished asking questions and the team members have provided their input, use the WorkspaceLink variable to get access to the conversation. In the "Send notification" action, send an email to yourself and insert a reference to the WorkspaceLink into the body. Publish the Workflow: From the Ribbon, choose Publish. Add the Workflow Template to your Library: From the Library tab in the Ribbon, choose "Workflow Settings". In the bulleted list, choose "Add a workflow". Find the template you created, give it a name, and click OK.
Start the Workflow: Select a document in your library and, using the Documents tab in the Ribbon, choose Workflows. Locate the Workflow you just connected to your library and click it. Next you will be presented with the initialization page. Click Start to begin your workflow.